Zero points were scored by Oregon State against 9th ranked Wisconsin. Sadly, this was probably a better performance than their week 1 loss to Sacramento State as the defense played decently given they were always losing the field position game because of the offense’s inability to move the ball. There’s a good chance this won’t be the last Pac-12 team Wisconsin plays this year as they are the most likely team from the Big-10 to make the Rose Bowl (or even more). 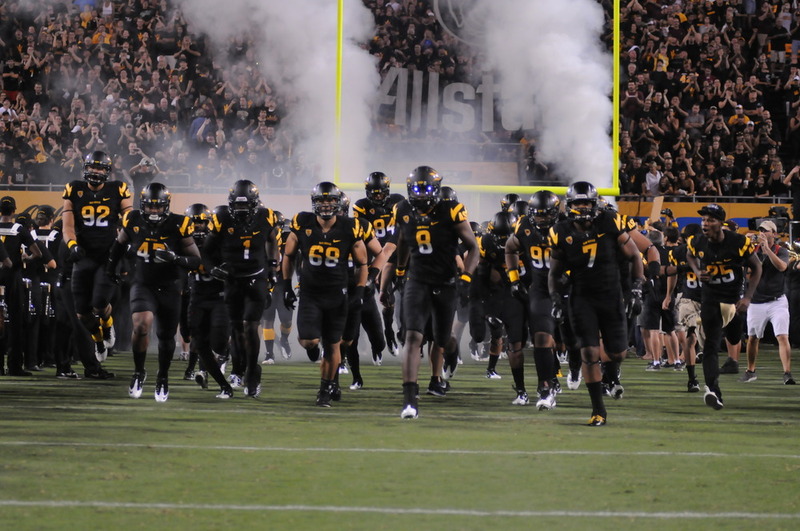 One big win by the Sun Devils on National TV will hold off all the mud slinging for at least one week. It required a coach icing his own kicker but I’m sure Arizona State will tell you they would rather be perceived as just simply “lucky” than to be “good but unlucky” like last year. Of course they will need follow through next week with a win at Illinois if they don’t want their stay in the top 25 to be short. The win was especially important since the day before rival Arizona got absolutely trampled by Oklahoma State again on Thursday night. The only silver lining was that it was being played on the debut of the NFL and hopefully not too many people were flipping in between the two channels. Two big extra points blocked didn’t come back to bite either team. ASU missed an extra point after going up 16-10, but was able to pull it off in overtime. Cal missed an early extra point, but was able to convert on a crucial 1st and 30 and steal a huge game in terms of bowl implications from the Buffaloes in Boulder. Three wins over the WAC unfortunately doesn’t prove much even though they are against two of the WAC’s best schools this week (Remember Boise State is playing in the Mountain West this year). Oregon’s Darron Thomas threw for 6 TDs (though he didn’t remember) as the Ducks easily dispatched Nevada in Eugene. Washington showed signs of a great offense and they put up 40 points against Hawaii though the defense gave up 32. They will need a better performance from the defense if they want to pull off another upset against Nebraska next week. UCLA played in from of a half-empty Rose Bowl as you wonder how many fans decided not to come after their opening day loss to Houston. Hopefully there will be a better showing by the Baby Bears in their play and fan participation as Texas revisits the Rose Bowl for the third time in five years. Four touchdowns by Andrew Luck allowed the Cardinals to easily get by Duke 44-14 in the battle of top 10 U.S. News Ranked Schools. Unfortunately, Stanford’s non-conference opponents (San Jose State, Duke, Notre Dame) are all 0-2 so Stanford is going to need those teams to start winning fast along with the rest of the Pac-12 if they hope to make the National Championship Game. Five TDs by Marshall Lobbestael show the Cougars might not strictly just be about Jeff Tuel. Last year, they proved (ask Oregon State, California, Washington) they were not an easy out on the schedule and with a win at San Diego State next week, will be in a good position to make a bowl game with just three more victories in the Pac-12. Six extra points were added to USC’s inaugural Pac-12 victory over Utah. The Vegas spread was 8.5 points so essentially Las Vegas had to almost pay out double. If you had Utah +8.5 and cashed within the first two hours you were paid. If you had USC -8.5, I sure hope you didn’t throw away you ticket because it’s now considered a winner. What will it take to get Texas to join the Pac-12? The big news on Wednesday was that Texas A&M was extended an invitation by the SEC to join the conference starting in 2012. Obviously, some of the Big-12 teams such as Baylor who fear being left standing once the music stops. 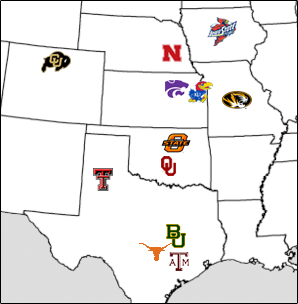 But assuming the move gets approved, more than likely the Big-12 as we know it would get dissolved. Back in 2010, the original plan was to form the Pac-16 with Colorado, Texas, Texas A&M, Oklahoma, Oklahoma State and likely Texas Tech. The Big-10 currently doesn’t have any huge expansion plans, but you got to believe one superconference can easily set off the dominos. The most popular scenario mentioned has the Pac-16 forming with the two Oklahoma schools, and then Texas and Texas Tech but other possibilities exist as well. The large jewel is obviously Texas out of that bunch, but what are some steps Larry Scott and the Pac-12 do to make themselves more attractive in the meantime? 1) Cater to Texas, but don’t put them on a pedestal – The main reason for Texas A&M wanting to leave, was they were tired of the Horns calling all the shots and wanted to get out of their shadow. Obviously, Texas brings in huge resources and a large passionate alumni base, but too much into their demands such as high school games on the Longhorn Network would be a definitely turn-off for the other big prize, Oklahoma. Oklahoma has said it could see itself giving up the Red River Rivalry for a more secure home in the future. Texas would likely have to give up the unequal revenue sharing they had in the Big-12 or maybe agree to similar concessions given to USC and UCLA for joining the Pac-12. As an armchair quarterback, I would suggest doing just that, allowing them to keep their own Network without high school games, and maybe compensate with bonuses for appearances on ESPN/ABC if the total revenue generated for the conference is above a certain threshold. 2) If you can’t beat them, join them – What the current Pac-12 teams could actually do is simply win on the field and score huge wins against the Big-12 in the coming weeks. Between Arizona’s game against Oklahoma State, Arizona State’s game against Missouri, and UCLA’s rematch against Texas, winning 2 out of 3 would be a huge statement. The Pac-12 needs to give the perception that the mercenary schools from the Big-12 will be joining a reputable and respected conference and conference isn’t just poaching good teams and riding their backs. As I mentioned in a previous post , the Pac-10 had a winning record against all conferences except the Big-12 during the BCS era (32-33), but unfortunately we live in a “what have you done for me lately” world and I’m sure the horrible week 1 by the Pac-12 is on lot of people’s minds. 3) Figure out a more attractive bowl system – With a Pac-16, more than likely Larry Scott will move to get 2 BCS bids. If the Big East with 8 teams could have an automatic bid, I don’t see why the Pac-16 couldn’t have two given both hypothetical divisions would be stronger than the current Big East or 9-teams Big East with TCU. The issue is that in the proposed “West” division, there hasn’t been a non-USC team win the Rose Bowl since Washington in 2001. 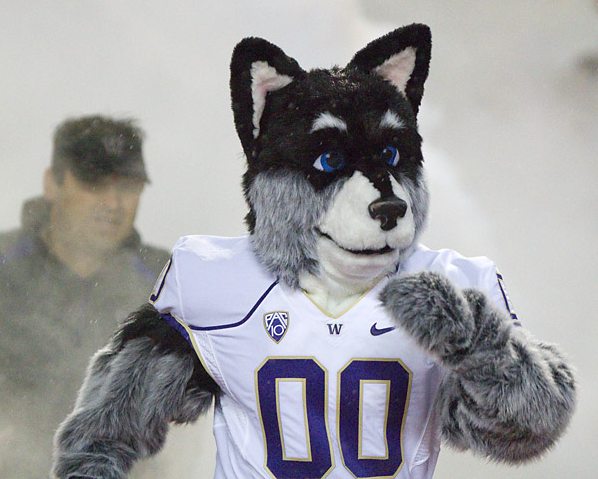 If you take out USC and UW, the last “West” team to win was UCLA all the way back in 1986! (ASU won in 1987 but would be in the “East” division). Yes there has been some funky circumstances (Oregon State 2001 Fiesta Bowl, Oregon 2002 Fiesta Bowl, Cal 2004 snubbing, Stanford 2010 Orange Bowl), but Texas writer Tim Cowlishaw believes the “West” doesn’t deserve an auto-bid. I would suggest an auto-bid to the Rose Bowl for the Pac-16 winner, and then maybe a conditional auto-bid/at-large bid if the second place team from the Pac-16 is in the top 8 of the final BCS standings. If the system ends up moving towards 4 “Super-Conferences” with 2 auto-bids each, the Non-AQs can fight for 1 of the last 2 spots and then maybe the 10th spot can be a free-for-all. The current #2 and #3 team from the Pac-12 is scheduled to play #3 and #5 from the Big-12, then the Sun Bowl against the ACC #5, followed by a bunch of match-ups against Mountain West and WAC teams. Even if the Pac-16 inherits the Cotton and Insight Bowls, there’s obviously going to need to be replacements for the tie-‘ins to the Holiday and Alamo Bowl which aren’t Non-AQ schools. 4) Resolution to the location of the Pac-16 Championship Game – Likely the solution to this will be whatever puts more butts in stadium seats and eyeballs on television screens than whatever else is deemed more “fair.” I wrote in a previous article on how the Big-12 North wasn’t too happy about Dallas hosting the Big-12 Championship Game two years in a row, but once the new stadium in Los Angeles (Farmer’s Field), a odd-even rotation between Dallas and Los Angeles would seem logical, simple, and fair to me. 5) Coordinate plans on how to mingle in the Olympic sports – Minor issue, but a formation of the Pac-16 will probably generate enough money from football to cover the expenses of all the Olympic sports. But obviously travel between Corvallis and Pullman to places such as Lubbock and Stillwater will be an issue for some of the smaller sports. Maybe there can be arrangements made to play back-t0-back games or have meets with 4 to 8 teams at a larger metropolitan location when inter-division games are to be played. 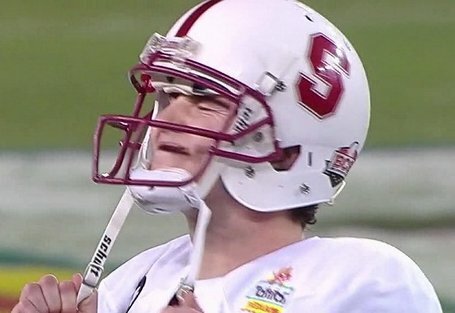 Needless to say, Pac-12 did not live up to expectations during week 1 of the 2011 college football season. The conference went 8-4 this past weekend which was only 1 more loss than what I predicted. However the wins were often close and the losses embarrassing. 1) Oregon is now the “new” Ohio State – Ohio State suffered from the “big fish in a small pond” perception from the rest of the nation between 2006 and 2008 when it laid two eggs in the National Championship Game, followed by a loss to Texas in the Fiesta Bowl and subsequently two losses to USC. The Buckeyes did not get off their monkey off their back until the 2010 Rose Bowl when they beat…..who else, Oregon. Boise State twice, Ohio State, Auburn, and now LSU have proven the spread option can be stopped with ample preparation and a disciplined defense. If Oregon fully wants to claim themselves as the new USC of the Pac-12, they are going to have to win one of these big games soon. 2) Two on Thursday – The two Pac-12 games on Thursday, provided similar results (both posting a victory over an FCS school) but two different coaches’ reactions here and here. 3) Three Cheers – Washington State starts 1-0 for the first time since 2005 and puts up 64 points. The Cougars are going to have to figure out how to win without Jeff Tuel, but there is definitely a new attitude up in the Palouse. Cal and Zach Maynard gives their fans some hope on the upcoming season with a 36-21 win over a feisty Fresno State team. The first team defense was not fully responsible for any of the Bulldog’s touchdowns, and Cal showed good balance in the passing and running game. Lastly, Andrew Luck and the Cardinals roll through San Jose State and will likely be the Pac-12’s highest ranked team until their showdown with Oregon on November 12th. 4) Four Jeers – Washington needed a late interception to hold off FCS Champion Eastern Washington. While this isn’t your “typical” FCS team, the Huskies probably should have put them away earlier. UCLA’s defense could not stop Case Keenam despite a good showing from their offense which racked up over 550 total yards of offense. The early departures of Akeem Ayers and Rahim Moore proved too much to overcome for the Bruins. In late night action, Colorado extends their losing streak away from Colorado as they still have notched a road victory since 2007. The Buffaloes rallied down 17-0 to make it 17-24, but couldn’t get the big stops they needed to beat the Rainbow Warriors. Finally, the Coliseum was filled with “boos” after the Trojan’s lackluster 19-17 victory over perennial Big-10 doormat Minnesota. The men of Troy didn’t score any points in the second half. 5) No so Beaver Nation – Oregon State joins Virginia Tech, Duke, Michigan as FBS schools to be upset by FCS schools in their own building after a 2-point conversion in Overtime lead to a 29-28 Sacramento State victory. The Beavers were without Ryan Katz for the second half a rallied from down 21-6 to have a chance to win in regulation on a field goal. Oregon State needs to regroup fast as a big win next week against Wisconsin would relieve some burns of Saturday’s defeat. In part 1 of my series, I went over what lead to the creation of the Pac-12 and its championship game. In part 2 in my 4 part series, I will now go over a brief overview of the championship games in the ACC, Big-12 and SEC. Of course now, the Big-12 with ten teams can’t host a championship game because of a provision stipulating the need for twelve teams to host the championship game. The Big-10 will start hosting a championship game this year after poaching Nebraska from the Big-12 to secure it’s twelfth member. ACC – The ACC was the most recent to form a twelve team conference noticing the recent success the Big-12 and SEC had by their top teams play over Thanksgiving break. Therefore, reaching out to invite Miami (2 straight NC appearances, and 4 straight BCS bowls in a row winning 3), Virginia Tech (1999 Sugar Bowl) and Boston College (New England market) seemed to be a huge victory for the ACC. The ACC commissioner had hoped the traditional powers of Miami and Florida State would bring the conference back to prominence and seemed forcefully to put two programs in different conferences. This may have contributed to a somewhat uneven playing field as the Coastal Division currently holds the edge 4-2 in championship games (including the last 4), but only has been represented by Virginia Tech and Georgia Tech. The ACC has only had 1 BCS bowl win out of 6 since the inauguration of the championship game and has yet to produce a national title game representative. In addition, the ACC Championship Game is in a constant battle over attendance as it continual rotation of the game’s site which has lead to horrid images such as this one. Big-12 – The Big-12 has produced many exciting championship games which results have been felt all throughout the nation. A few of these games I will go over in Part 3 of the series. The Big-12 Championship Game was formed after the merger of the Big-8 and the Southwest Conference (4 schools in Texas) in 1996. The game has been a stepping stone for a couple of National Champions (Nebraska 1997, Oklahoma 2000, Texas 2005). The Big-12 initially did a pretty good job about rotating the championship game site between the North and the South, but after Jerry built his palace in 2008, the Big-12 was likely going to settle in Arlington, Texas as a more permanent home which obviously didn’t bode well for fans from the North. Excitement, exposure and attendance haven’t been the issue haunting the Big-12’s championship game as much as it has been competitive imbalance. The obvious recruiting advantage in Texas (ranked #1 most years) for the South schools has led to some pretty lopsided results (70-3, 62-21, 38-21, 42-3) and has some including Mack Brown preferring not to play the game. Of course, the two times Mack Brown said this were when his Longhorn’s were left out of the Big-12 Championship Game in 2008 in favor of Oklahoma, who they had beaten head to head, and after Colorado and Nebraska left the Big-12 which eliminated the game. So take it for what it is. 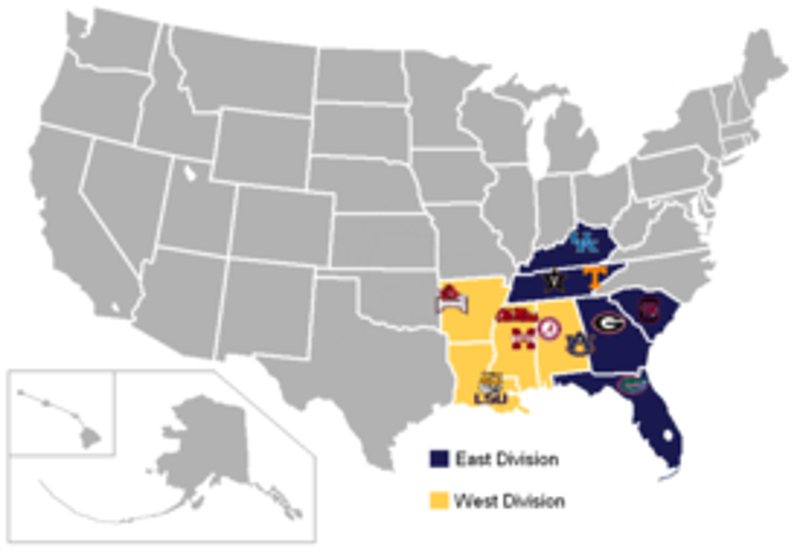 SEC – The Southeast Conference was the first to chaperon the idea of the championship game when it expanded to twelve teams back in 1992. At first, the game was played in Legion Field, Alabama (Birmingham). Because of the rather even split down the line, Birmingham was pretty close to being a neutral field game. There was actually little problem filling up the championship game in Birmingham the first two years as it actually outdrew Atlanta’s Georgia Dome because of its larger seat stadium. The SEC is able to fill up its stadium for the game without it giving any particular time an unfair advantage (Athens, GA is a 1.5 hour drive to Atlanta) and has been a great model of how the Championship Game can springboard a team outside of the top 2, into the BCS National Championship Game. (2003, 2006, 2007). While the East still holds an 11-8 edge (due to early dominance from winning 6 out of the first 7), the West has won the last two and has dominated the East of late. Florida and Georgia are often in the top 5 states when it comes to recruiting and may geographically be slightly closer to the East. But, the bunched of nature of the SEC states has allowed for a rather even distribution of talent contributing to the overall evenness of the SEC’s balance in most years.